Females and males looking for the right homes! This weekend we have been very productive here at home. Our puppiebuyer Susanne Fajersson with her lovely daughter, Elna have been here with Adams sister, Huffish Love Killer “Berta”. 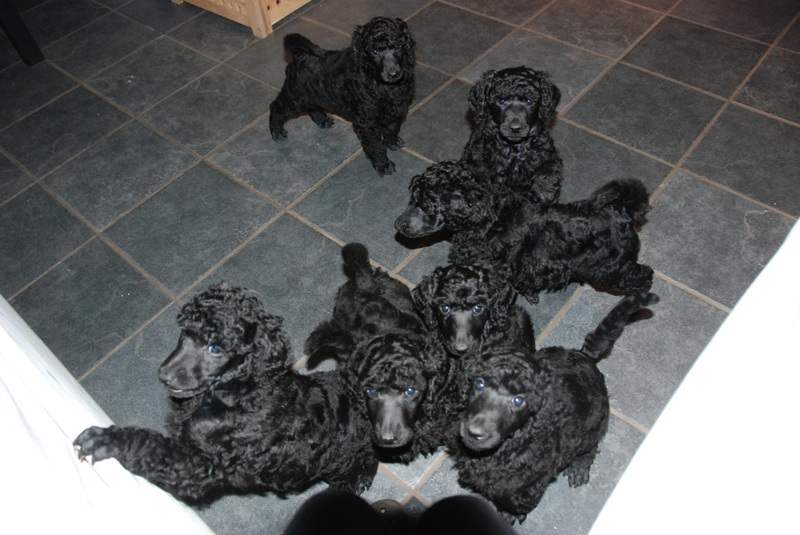 They have helped out to clip all the 9 Standard Poodle puppies faces and feet! And we also managed to do all our other adult dogs, clipped and bathed. Peter was helpful as usual. Now its only the rest left, I have my last day at my old work tomorrow before I start the new adventure which I am really looking forward to. 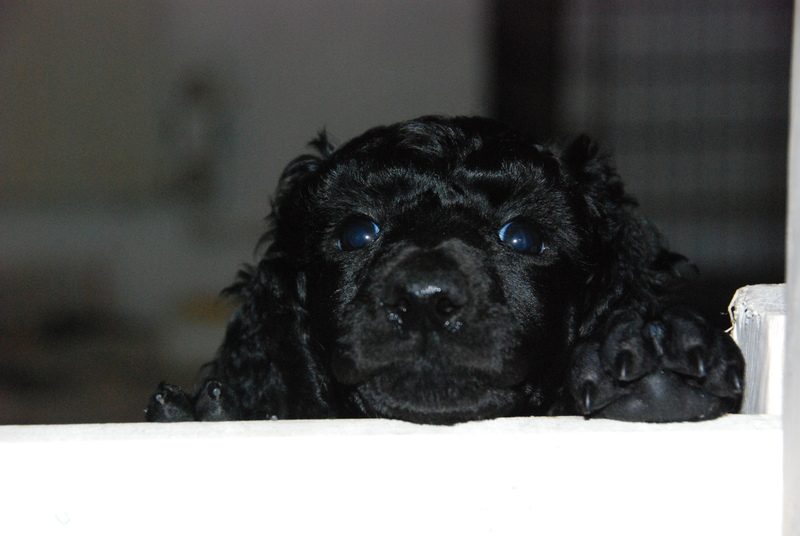 Siri and Simon puppies are now 6 weeks old and they are starting to look like Poodles. We still have females and males available for the right homes, they look very promising so far. Please contact us for more information if you are interested. Simon is staying with us during 2012 before he goes back again to his owner Betty Brown in the US. No off to try to get some sleep, William is not very well and needs a lot of attention even through the night. ← Beautiful line up of Poodles in Moscow!